I love the fact that I can sample both the Kindle and audiobooks when trying to decide which route to take. The audio won out here for a couple of reasons. Books told in 1st person are a favorite of mine in that format, it’s like the character is telling their story directly to me. Also, the author himself read this one which I think is cool. Sam Hill was born a little different. It doesn’t affect his intelligence nor his physical abilities, but one look at his ‘devil eyes’ set people off. Children can be the cruelest (even adults too) and that plays a big part in young Sam’s life. I could go on and say this and that happened, but I won’t. 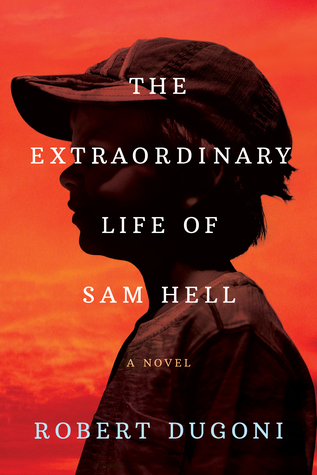 The Extraordinary Life of Sam Hill is an extraordinary book, from start to finish I was captivated. From the bullying, ‘God’s Will’ attitude of his mother along with best friends Ernie and Mickie made this a well rounded emotional and at times witty read, well listen. Effortlessly the author weaved back and forth in time telling Sam's story. Coming in at almost 12 hours with chapters that aren’t too long it was very easy to follow my mantra, just one more chapter.